Off-road driving and towing can be a challenge: every track is different and you might encounter corrugations, steep inclines, rocky terrain, sand, mud, bull dust and all sorts of tricky situations. There are a few basic things to be aware of so you can stay out of trouble on your travels. If your caravan or camper trailer is not specially built for off-road conditions, think twice before leaving the tarmac. Conditions off the road are harsher than on the road, so you really do need the right rig for the job. Your off-road caravan should have a strong, reinforced frame that will be durable enough to withstand the vibrations it will be subjected to on unsealed roads and tracks. If not, you’re better off staying on the tarmac. Make sure that you have off-road tyres for both your tow vehicle and your caravan. You’ll need them to stand up to sharp rocks and rough roads. The size and stud pattern of your tow vehicle and caravan tyres should match. Before getting off the road, make sure that the air pressure is at the best pound-force per square inch for the terrain you’ll be driving on, as specified by the manufacturer. 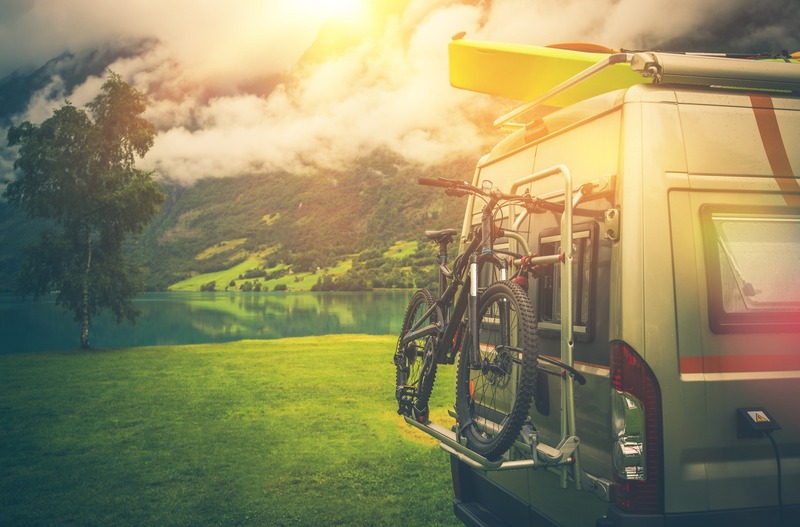 To help to protect your caravan from harsh off-road driving conditions, you can look for independent suspension to keep the ride as smooth as possible. Coupled with tandem suspension, this can also help to track your caravan directly behind your tow vehicle to prevent bogging in soft ground. Having a drawbar-mounted stone shield fitted is a great way to protect the front of your caravan from the barrage of stones and other debris flicking up from your tow vehicle while off the beaten track. Other useful features include checker plate protection, heavy-duty bumper bars, and full dust proofing (a must!). Lastly, and most obviously, get your tow vehicle serviced before you leave for any off-road adventure so that you can be confident it’s up for the job.